(CNS): A Conservative member of the UK’s House of Lord was probing government peers last week over comments made by the Cayman Islands premier deriding the current governor. 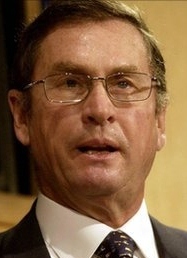 According to the House of Lords’ Hansard, Lord Ashcroft asked government representatives in the British upper House what their assessment was of the comments made by McKeeva Bush about the UK appointed governor, Duncan Taylor. The FCO representative in the House of Lords, Lord Howell, said he was aware what Bush had said but there was no truth in the allegations and the governor had the UK government’s full support. 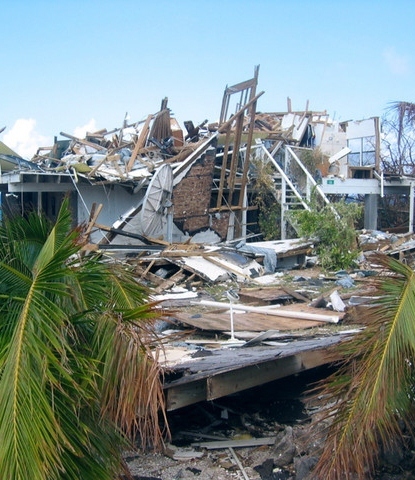 The question posed by the millionaire peer, who is facing media accusations in the UK about his own business dealings and entanglement with issues in the Turks and Caicos Islands, queried what the FCO felt about the attack by Bush on the governor and his conspiracy theories. In a widely publicised statement he had also accused Taylor of having “done nothing for three years to help us but to throw cold water on whatever we were trying to do", accusations strenuously denied by Taylor, who has persistently pointed to his directions to the premier to follow good governance practices. Howell pointed to the governor’s own comments when he said the “UK government's vision for the Cayman Islands was set out clearly during the visit by the Minister for the Overseas Territories, Henry Bellingham,” which, he went on to say, was a “vision of a flourishing and vibrant economy, whose public finances are well managed and whose adherence to internationally recognised standards of governance enhances its reputation as a good place to live, work and do business." Howell said Governor Taylor shared Bellingham’s vision and that he “has our full support”, referring to the UK government. Ashcroft has been the subject of media attention in the UK recently as a result of his possible connections to various dealings in the Turks and Caicos Islands. The UK’s Sunday newspaper,The Observer, reported this weekend that it had seen documents linking the wealthy lord to Allan Forrest, chief executive of the firm Johnston International, which collapsed in 2010 taking the Cayman based firm Hadsphaltic with it. Ashcroft, however, has denied any legal, economic or beneficial interest in Johnston since 1999. The BBC flagship investigative show Panorama also reported earlier this year that Ashcroft had misled the public and the stock exchange over his business interests in TCI. The allegations also centred on Johnston which was believed to have funded a luxury mansion for Misick. In the programme Panorama alleged that Ashcroft had given the impression that he had no involvement in the firm when the mansion was being built but the evidence of 14 former employees and leaked company documents implied the peer controlled the firm at the time. The documents showed the peer issuing instructions, sometimes in his own handwriting, on how to run the company, the BBC said. Ashcroft rejected the allegation he had deliberately misled the public and denied having any involvement in the day-to-day management of the construction firm for more than a decade. (CNS): The teenager accused of killing Asher McGaw in East End last September will not be offering any evidence in his own defence following the presentation of the crown’s case against him. 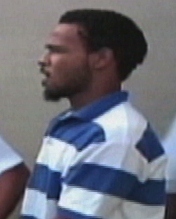 Since his arrest, Chakane Jameile Scott has remained silent in the face of the accusations which are based on evidence given by teen witness, Antascio Rankine, who says he was there when Scott shot McGaw. The three men, who, the court heard, were all friends since childhood, were, according to the crown, in the grounds of the East End Clinic letting off a flare gun when Scott turned a revolver on Rankine and shot his friend three times in the head and body. (CNS): The Department of Planning has partnered with the local building industry to present a new three part free lecture series focusing on bestpractices, particularly roof trusses, framing and uplift connections installation. Officials from the planning department said the series presents an invaluable opportunity to construction firms to learn more about best practice for building high-wind resistant roofs. “One of the main duties of the Department of Planning, is ensuring the building of robust and more specifically high wind-resistant structures,” said Director of Planning, Haroon Pandohie. (CNS): With four robberies in one week on Grand Cayman after what seemed to be a lull in one of the most problematic crimes for the local economy, the Chamber of Commerce has urged businesses to be extra vigilant. During a seven-day period four local businesses were robbed by masked armed men; three of the incidents happened in the middle of the day. Although police managed to apprehend one lone robber at a business in Bodden Town, the other perpetrators remain at large. The Chamber said it was concerned over the implications for the business community with the surge of robberies, which are not only bad for business but could have “dire consequences” for the entire community. The Chamber encouraged all local businesses to work with the police but also to be extra vigilant throughout the working day and report any suspicious activity to the RCIPS or the Cayman Crime Stoppers 24 hour line on 800-TIPS. The police are currently conducting an investigation into an armed robbery at the TV station’s WeststarTV customer service office, which occurred on the afternoon of 24 May when three masked men, two of whom were armed with what appeared to be guns, threatened staff and got away with several thousand dollars. The men were caught on CCTV and the station has offered a $10,000 reward. The RCIPS is also looking for a man armed with a knife, who was involved in one of two daylight robberies on Wednesday 30 May. The suspect was also caught on camera outside the convenience store in Walkers Road wearing a yellow cloth around his head. Unarmed officers, however, bravely confronted and arrested an armed man as he attempted to flee an armed robbery at the Cashwiz pawn store in Bodden Town. On recovery the weapon was discovered to be an imitation gun and the man was arrested for robbery. A third robber remains at large after a hold-up at the Texaco Gas station on Eastern Avenue at around 10pm on Thursday 31 May. So far police have failed to release descriptions or CCTV footage regarding the most recent heist. In recent statistics released by the police the robberies reported for the first quarter of 2012 were down by 66% on those reported in 2011, an historically high year for robberies. 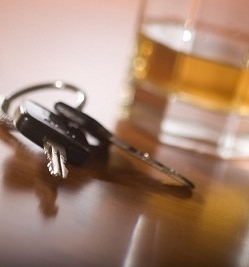 According to scientific research, a blood-alcohol level of only 40mg per 100ml of blood begins to impair concentration and increase the likelihood of a crash. (CNS): Two men who were arrested in September 2010 and charged with robbery and possession of an imitation weapon will not go to trial until next year as a result of various postponements. Derek Simpson and Dan Kelly who pleaded not guilty to the crime in July last year have had their trial postponed twice because of overloaded court schedules and are not set down for a judge alone trial until February. 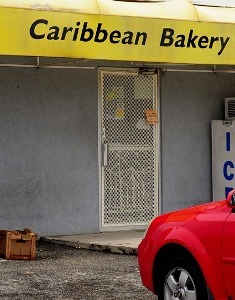 The men are accused of holding up the Caribbean Bakery, on Mount Pleasant Road in a day light robbery where they stole $400 but were arrested a short time after the crime. The two men who have been on bail since charges were brought were once again released in to the community, Friday, until their case can be heard.